Saturday, September 2, 2017, 5:00 p.m. – 6:00 p.m.
Part of the joy of producing Discoveries from the Fleisher Collection is in the finding of connections. We've seen, for instance, how the German–English Frederick Delius became a real composer in 1884 by living in Florida, and we note that this is the same year Niels Gade wrote Holbergiana, his tribute to the great writer Ludvig Holberg. This of course reminds us of the famous Holberg Suite of Edvard Grieg. We see that it, too, was written in 1884, and we wonder why. Grieg would soon become a friend of and a musical influence on Delius when they met in Leipzig. But what is the Holberg 1884 connection, and why would the Danish Gade and the Norwegian Grieg both write Holberg pieces that year? Well, it turns out that Holberg was born in 1684, and the 200th anniversary of the man who has been called the inventor of Danish and Norwegian literature was well celebrated. Holberg was born in Bergen, Norway, but worked in Copenhagen, Denmark, as this was during the time when the two countries were united as one kingdom. The Denmark–Norway union existed, with Sweden entering and leaving occasionally, until 1814, just three years before Gade was born—which reminds us of another connection: This year, 2017, is the 200th anniversary of Gade's birth. Niels Wilhelm Gade was the greatest Danish composer until Carl Nielsen. 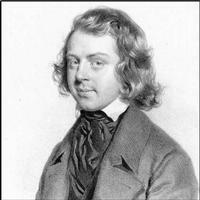 Nielsen, in fact, studied with Gade in Denmark's capital of Copenhagen, as did Grieg for a time. Gade took the long way around, however, to end up back in the city of his birth. When he was 24 and playing in the Royal Danish Orchestra's violin section, they performed his opus 1, Echoes of Ossian. Gade started to be noticed. But they demurred the next year, choosing not to play his opus 5, his first symphony. Undaunted, he sent the score to Felix Mendelssohn, dedicating it to him. We know him today as one of the finest composers of the 19th century, but Mendelssohn was also the intrepid director of the Leipzig Gewandhaus Orchestra. He liked what he saw in the young man's music, and so the premiere of the Gade Symphony No. 1 took place in Leipzig in 1842. Gade impressed Mendelssohn personally, too. He became assistant conductor at Leipzig, and upon Mendelssohn's too–young death in 1847, Gade was appointed the new director of the Gewandhaus. Unfortunately, 1848 was a roiling year politically. Revolutions against the old order broke out all around the confederacy of states we now know as Germany. Wagner was caught up in it; many fled; many, in fact, came to the U.S. in 1848. The revolutions wouldn't necessarily have affected Gade, but something else happened that year: Germany and Denmark went to war. It was over who owned the border area of Schleswig–Holstein, and while Denmark won out in the short term and Germany in the long, in this complicated business one thing was clear: the Danish Niels Gade had better leave Germany, and fast. He went back to Copenhagen and began to construct a prominent career of composing and teaching. He influenced the next generations of Scandinavian musicians, including the next great Danish composer, Nielsen, and that greatest of Norwegian composers, Grieg, who knew Delius when they were in Leipzig, which was where... well, we just love all the connections we find through Discoveries from the Fleisher Collection.